What Is The Rematee Bumper Belt? There are many snoring aids on the market that work by repositioning your jaw, opening your airway or simply letting chemicals do their thing in order to keep you from snoring. However, for many people, these snoring aids either don’t work or don’t seem like a desirable solution. If you are one of those people, check out our Rematee Bumper Belt review, exploring one of the best snoring aids currently available. 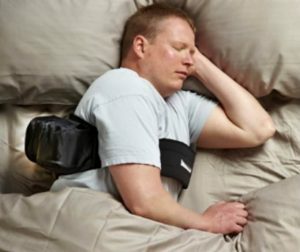 The Rematee Bumper Belt is truly a unique anti-snoring solution. It is a strange device that looks a bit silly but may provide exceptional results against snoring. As its name suggests, it’s a belt, but instead of wearing it around your waist, you wear it around your chest. Its main purpose is to keep you on your side as you sleep. This is important since a lot of studies have shown that people who sleep on their back are at a much higher risk of snoring than those who sleep in other positions. When you sleep on your back, your jaw and your tongue tend to fall back, causing the airway to collapse and partially close. The irregular airflow causes the soft palate and the uvula to vibrate, leading to what is known as snoring. The Rematee Bumper Belt aims to keep you from turning on your back as you sleep. The belt is shaped like an oval, like a back support belt. Nothing weird about it, right? However, this belt has three inflatable bags on the back and two straps that go over your shoulders. 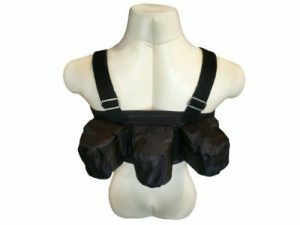 The straps keep the belt in place, without it fitting too tightly, and the bags, well, they simply keep you from rolling on your back. It’s a very simple mechanism, but it definitely works. There is no way you can get on your back while wearing the Rematee Bumper Back. The Rematee Bumper Belt is unlike any other snoring aid. It does nothing to your airway directly and yet it keeps it open by simply keeping you on your side (or your belly, if you prefer) as you sleep. Thanks to the neoprene layer on the surface, the belt is extremely comfortable. It does not cause any side effects, so you don’t have to worry about sore jaw and teeth, itchy nose and dry mouth. As we mentioned earlier in this Rematee Bumper Belt review, it is extremely comfortable and easy to use. You simply put the belt on around your chest and put your hands through the shoulder straps (ladies will notice that it is much like putting on a bra). The three bumpers are supposed to be on the back side of the belt, logically. 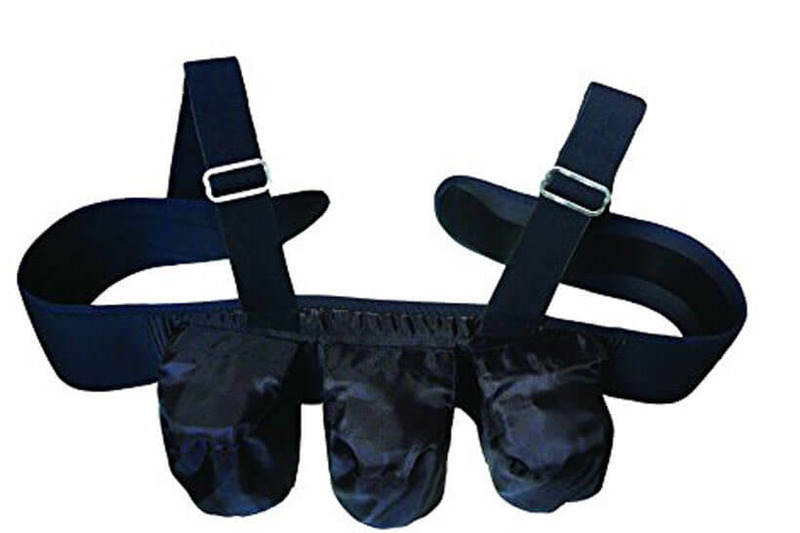 Before you put the belt on, you are supposed to inflate them until they are firm and tight because it’s precisely the inflatable bags that will be keeping you from sleeping on your back. The Rematee Bumper Belt can be cleaned in a washing machine at a low-intensity cycle. Just make sure to remove the inflatable bumpers first. The belt comes in several sizes and features reliable Velcro adjustable straps. Most people get used to wearing this belt immediately, but don’t be surprised if it takes a few nights for you to get accustomed to it. The Rematee Bumper Belt is not covered by medical insurance, but it is reimbursable by some secondary insurance providers. The belt costs $108.78. The same price is valid for all sizes. The manufacturer offers a 30-day 100% satisfaction guarantee, which means if you don’t like it or you feel it doesn’t work, you can return it and have your money back. If you are still unsure if Rematee Bumper Belt is right for you, check out the key advantages and flaws of this snoring aid. The Rematee Bumper Belt is a simple yet ingenious invention that will definitely keep you off your back at night. If your snoring is caused by sleeping on your back, then this is the ideal solution for you, even though it’s not the cheapest product on the market. It is convenient, safe and relatively comfortable, as indicated already in our Rematee Bumper Belt review. Our ratings are the result of an objective and independent evaluation of Rematee Bumper Belt, generating the final rating that reflects the overall quality of the company. Ratings may change as the product introduces changes. Rematee Bumper Belt user rating based on 5 user reviews. The material is similar to that of a garbage bag I have on the back of my car seat. I didn't care much for the velcro strip since I know it's going to start losing its grip at some point. When I started using it, it was such a pain taking it on and off. But my main issue is, it simply doesn't work for me. It doesn't keep me off my back during the night, so I started thinking about replacing the airbags with something else and will report how that went later. A few months ago, my husband noticed that I only snore when I sleep on my back and after too many nights of bumping me and rolling me over, he bought me this belt. I was sure it would be uncomfortable but it isn't. It's been two weeks and I don't even notice it anymore. I snore like a tugboat and my roommates couldn’t take me anymore. They bought me the Rematee belt and at first I thought it was a joke. It actually works for me. Plus I look like batman when I get ready for bed. I know that I look silly when I put my antisnore belt on and the kids make fun of me, but my wife can finally sleep in the same room. It took me a few nights to get used to a belt with bumps in the back, but it has done incredible stuff for my snoring. We found 0 verified Rematee Bumper Belt discounts for April, 2019.